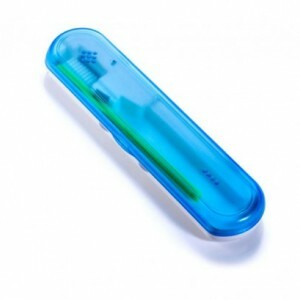 Summary Steribrush™ Travel Toothbrush Sanitizer protects you from harmful bacteria & viruses that thrive on tooth brushes while travelling. 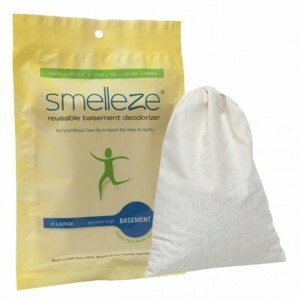 Kills germs using germicidal UV technology used to sanitize dental equipment. 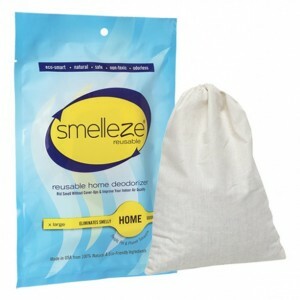 Will result in better oral health. 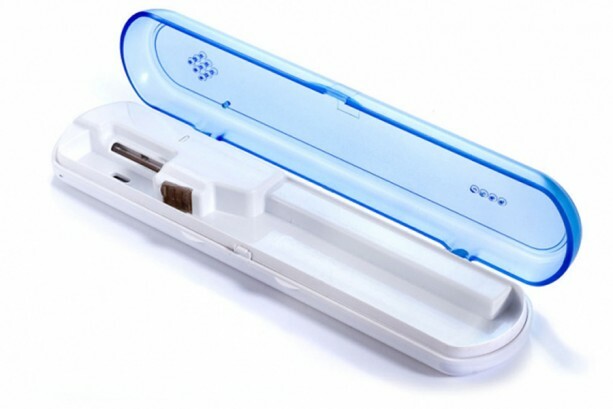 Features & Benefits • Sanitizes & store your toothbrush while traveling • Prevents the spread of infectious diseases • Kills bacteria and viruses in about 3-4 minutes • Holds and protects one toothbrush • Healthier way of transporting your toothbrush • Made in USA Your Toothbrush Can Make You Sick! The human mouth is home to millions of germs which are transferred to your toothbrush each time you brush your teeth and cannot be eliminated no matter how thoroughly you rinse it. Your toothbrush is an ideal breeding ground for germs and can result in re-infection and cross-contamination of toothbrushes which may affect immune systems and lead to diseases. 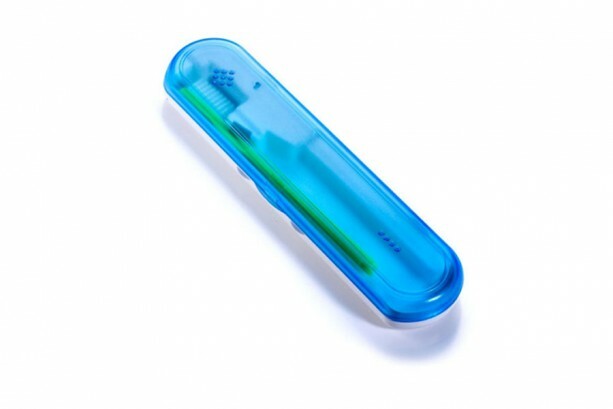 “Even after being rinsed visibly clean, toothbrushes can remain contaminated with potentially pathogenic organisms.” — The Centers for Disease Control The Steribrush™ Germicidal Cup Toothbrush Sanitizer will protect your family and yourself from harmful bacteria and viruses that grow and flourish on moist toothbrushes. 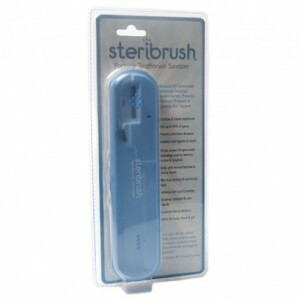 To use, simply store up to two toothbrushes in Steribrush™ after use. 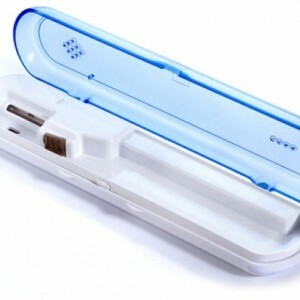 It will automatically kill germs using the same germicidal UV technology used to sanitize dental and hospital equipment and result in better oral hygiene. 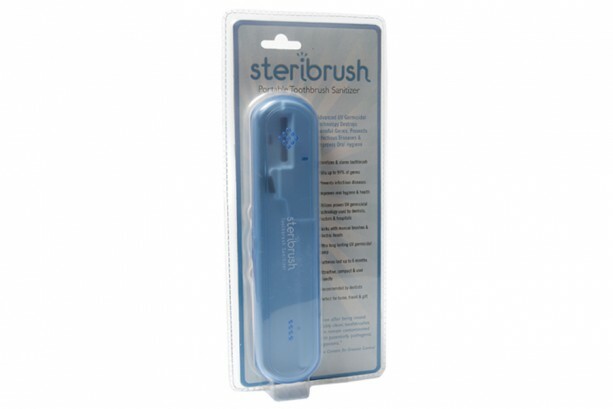 Steribrush™ also makes a perfect gift of health.